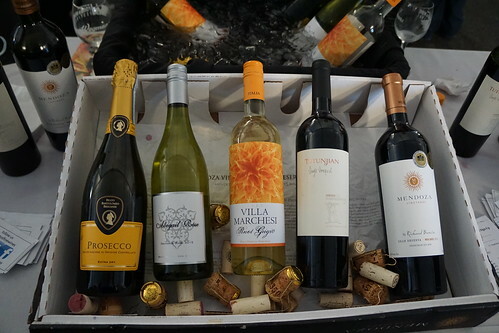 The Taste of WGBH, their annual multi-event food and wine festival held by Boston's public radio station WGBH is coming soon on October 5-8. There will be four different events that weekend, from a red-carpet Chef's Gala to three fun tasting events. Last year I attended Food Fight, one of their events that pitted Boston restaurants in a competition for the best food-on-a-stick. The winner of last year's food fight is Kaki Lima, the Indonesian pop-up that's currently doing a residency at Wink and Nod. 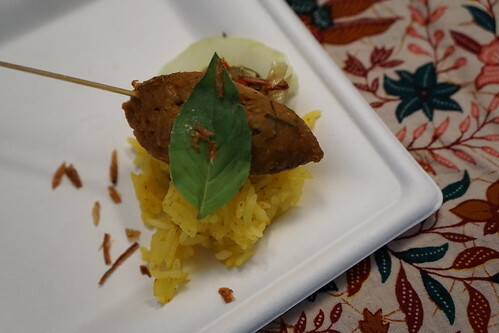 They served their sate lilit, a Balinese spiced chicken satay served with turmeric rice. 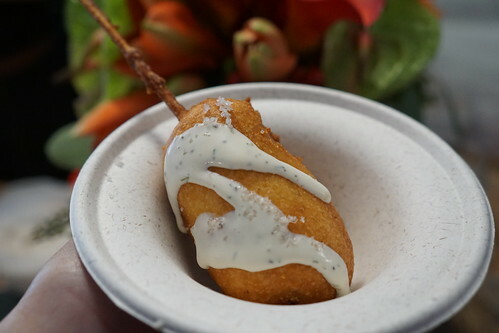 I also got seconds of the lobster corn dog from Lincoln, because lobster! 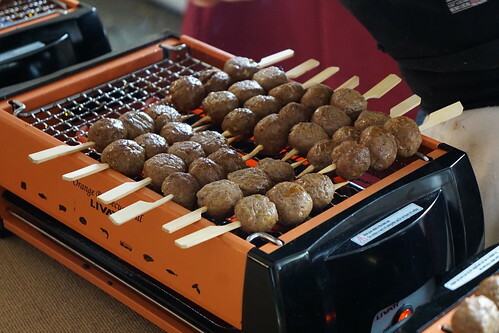 With "food on a stick" theme, there were of course plenty of sausages and meatballs, like these from Night Market in Cambridge. 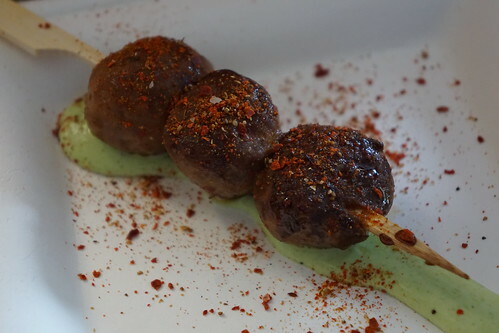 Or perhaps a fancy boudin from Bondir. 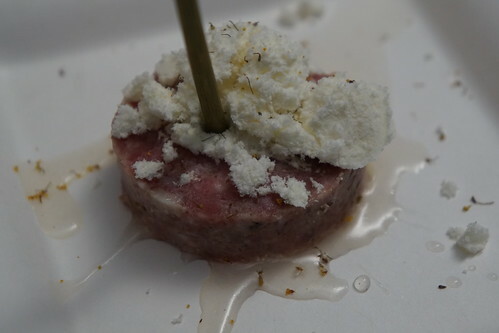 There are 15 chefs competing during the event, plus some more bites from sponsors. 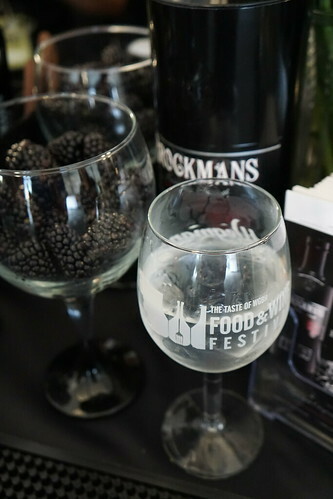 There were quite a few beverages to try as well on that warm day, including some gin and tonic from Brockman's Gin. Each year, there are breweries and wineries pouring samples of their wares. 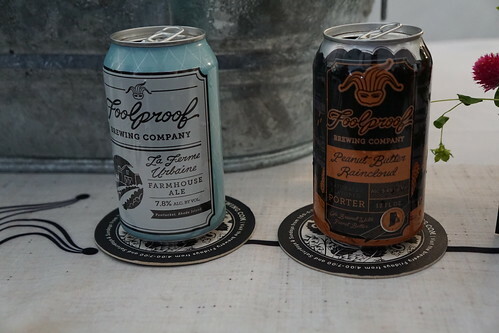 Last year we enjoyed brews from Foolproof, while this year participating breweries will include Devil's Purse, Banded Horn, Hermit Thrush, and Bunker Brewing Co. There will be no shortage of wine, and Hakutsuru Sake is again participating and sampling their sakes. 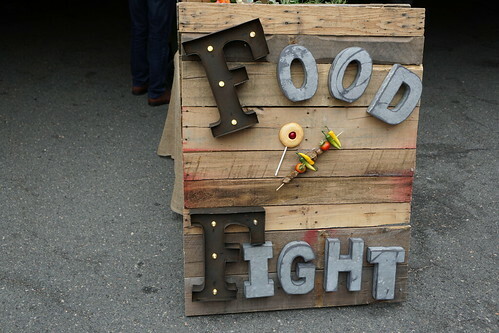 Tickets to this year's Food Fight will be $50 per person. You can purchase tickets to any of the Taste of WGBH events here.